Once you come to terms with the fact that things cannot be salvaged in your marriage, going through a divorce in Pennsylvania is the next step. Finding a divorce lawyer in Philadelphia who is sympathetic to your family’s situation is the shortest route to move ahead into the next phase of your life. 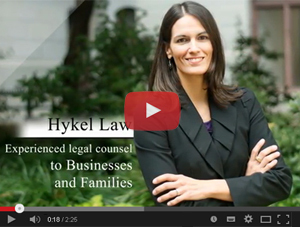 Hykel Law assists families in turmoil, acting swiftly and compassionately to help you move through the stages of divorce. When children are involved, divorce in PA can become more complicated. Renee Hykel Cuddy will help you resolve issues of child custody, child support and other legal matters concerning your children. Your family’s well being is first and foremost, so having a child custody lawyer is the only way to preserve their well being. 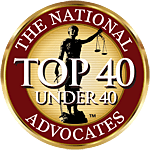 Hykel Law has the experience to handle your divorce, custody disputes, child custody issues, alimony and marital property settlements fairly and with the highest quality of legal advice. We get to the root of the issues that matter most to you. OUR EXPERT PHILADELPHIA DIVORCE LAWYER WILL HELP YOU THROUGH THIS DIFFICULT TIME.